An interview with Arundhati Roy, whose novel The Ministry of Utmost Happiness is her first in two decades. Arundhati Roy on balancing her dual identity as fiery political commentator and soft-spoken novelist. But the long-lingering question of whether she would return to fiction has been answered with The Ministry of Utmost Happiness, her second novel, which is out this month. Weaving together, among other threads, the story of a transgender woman in Delhi (where Roy still lives) and a Kashmiri freedom fighter, the new novel is teeming with all-too-real references to modern India, including the infamous anti-Muslim pogrom in the western state of Gujarat in 2002, which Modi himself presided over. The cliché about talking to writers who are known for acid pens is that they are invariably softer spoken and more relaxed off the page. When Roy and I spoke recently by phone, this cliché proved entirely accurate. Her self-deprecation was notable, as was a tendency to laugh at her own commentary, even on serious subjects. During the course of our conversation, which has been edited and condensed for clarity, we discussed why she waited 20 years to publish another novel, what she thinks of the critiques of her nonfiction, and what India can teach us about the worldwide rise of authoritarianism. Isaac Chotiner: When did you decide you had to write another novel? 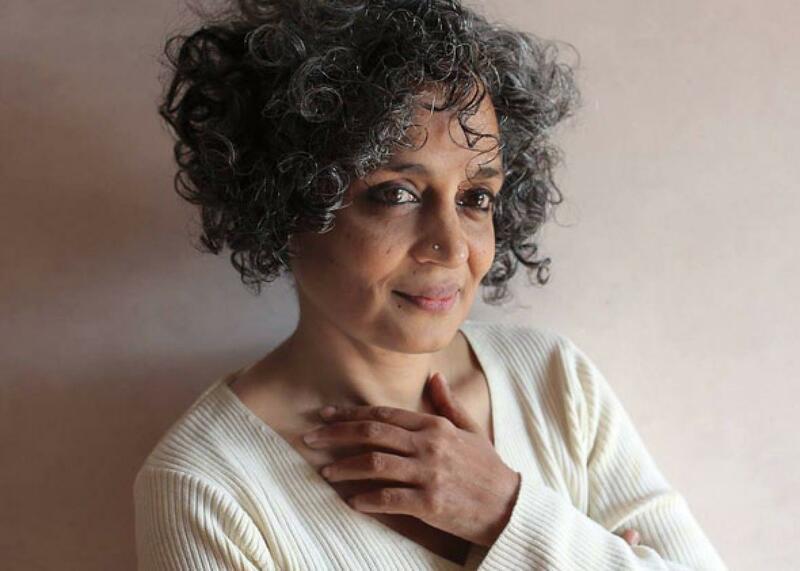 Arundhati Roy: I have been working on it for roughly 10 years. That was when I started putting down things which are in this book right now. I never ever decided that I had to write a novel, because to me, there’s no such decision that ought to be made. It’s only something that I felt compelled to do, and it began to evolve. I could have signed big book contracts in advance and so on, but I wasn’t sure. I was very, very experimental, and I wanted to be able to work for years and shelve it if I didn’t feel it was what I wanted it to be. What I meant is that there’s a difference between feeling that, “Oh, I haven’t written a book for 10 years,” and I sit and write and I have to. I have to. I have to. That’s not what I feel, but there was a different kind of compulsion where the story sort of inhabits you and obsesses you and haunts you, and then you have to do it. But, that’s a different imperative from, “Oh, I haven’t written a book for so long.” You know? It’s a kind of obsession that begins to colonize you. How did working on Ministry feel different from working on The God of Small Things? When you say that a novel is not a product, do you mean “product” in a consumer capitalist sense, or do you mean “product” as in a direct product of your life experience at some particular time? I just mean like a product that has to be churned out every now and then, because you have to. For the 20 years I took before I wrote this novel, I was traveling to so many places where there was so much happening as India changed, as the world changed. Some of those experiences translated into political essays, but there was a lot that could not be said except in fiction. You know? I would never ever use a novel to do thinly disguised political information dissemination. For me, all these experiences, they sat in me, and they got broken down into my body, and I sweated it out. It’s not because I want to talk about “issues.” For me, a novel is a way of seeing the world. Do you think you could write a nonpolitical novel? I don’t think anyone can. I think that that’s a myth. I think even every little fairy tale is political in some way. When you avoid something, it’s as political as when you address it. Did writing Ministry give you a deeper understanding of some aspect of India, whether it be Kashmir or Delhi or something else? Yes, of course. For me, the way a story is told is as important as the story. When you’re writing about places like Kashmir or you’re writing about what is happening in the forest in central India, whatever it is. … I keep saying fiction is truth, because it’s not possible, sometimes, to convey the terror of what is going on in these places just through reportage and evidence-based reporting and footnotes. The air itself and what it compels people to do and how you have to live with that dread, how you have to adjust to it over the years, only fiction can really tell that story. When was the last time you reread The God of Small Things? I don’t have to read The God of Small Things. I almost know it by heart. I’ve read quotes from you after someone has said that your article on something was too harsh, and you’ve responded that because there are really horrible things going on in the world, you have to be strong in making your arguments to get people to notice them. Forget essays: Can that approach be dangerous to fiction? In terms of my political writing, very often, I actually feel even more rage than I show through the work. When I write fiction, I’m in my body [as] a very different person. There’s a great peace in me when I write fiction. Maybe it’s subconscious, but overtly, I’m not aware of an audience or a reader or something. I’m not thinking so much of its reception. Who are the writers who have had the biggest impact on you? Growing up, there were really a lot of Shakespeare, a lot of Kipling. Later on, people like John Berger, Tolstoy, writers like that. In nonfiction, I’d say perhaps pretty high up on my list would be someone like Eduardo Galeano. What do you make of Kipling now? I find the idea of Kipling pretty fascinating, because he was such an imperialist and colonialist and racist, even. Then, he goes and writes The Jungle Book, and the Just So stories, and they’re so charming. It’s always interesting, where right now we have the post-colonial confidence where you can just laugh at the racism and the imperialism and admire the language and the music in it. He was also a writer who they would say had Indian blood, and there was a little of a need to prove himself a white man. What writers are you reading now? I’ve been rereading Tolstoy for some reason. I didn’t read a lot while I was writing. Over these 10 years, it was a little bit crazy. I, for some reason, was reading a lot of Russian writers, but I read Svetlana Alexievich, who recently won the Nobel, on Chernobyl and the Russians in Afghanistan. It’s almost like you surround yourself with books, and you just keep dipping into them. Mostly for me, it was to check my sanity. Am I completely off the rails, or am I OK? I hope that’s a rhetorical question. It’s interesting you said Svetlana Alexievich, because although I haven’t read much of her, it seems like her method of reporting and writing about people and conflict is very different from yours. Yeah. Of course it is, yes, very different. In my nonfiction, I would say, there is a part of me that is a pamphleteer, because when you read the nonfiction in a collective book of essays, of course you can see a political understanding or a way of seeing about all these issues, but actually, if you knew the circumstances under which those essays came out, in a situation that was just crazy where the paramilitary are flooding the forest, burning villages, killing people. … The essays always come out in very urgent situations. Speaking of Indian politics, we see a rise of populist demagoguery and fake news all across the world from India to Turkey to the United States to Europe. How much had you noticed these trends in India before it all became a matter of worldwide discussion? Recently, I was with a group of foreign correspondents in Delhi, and they were almost traumatized by what’s happening in India and the inability to communicate [it], because it’s hidden under the noise of Bollywood and the free market and the growing economy. The difference between what happened here and what’s happening there is that [there] it’s a historical process that has been deliberately … put in place. There are hundreds of thousands of political workers bringing India to this point, where it’s almost been declared a Hindu nation. I was telling people that if the Indian market hadn’t been wide open, and India hadn’t been a great finance destination, today we would [be writing] stories about genocide and chemical weapons and lynching happening in the street, flogging Dalits. Right now, there are mobs and vigilantes pulling Muslims by the beard, forcing them to chant Hindu slogans, lynching people. How do you connect religious violence and nationalism and things like that to the opening of the free market? Because one critique of your work is that you’re too glib in the way you talk about the free market. Why is the free market responsible for what you are describing? No, no. The free market is not responsible for that, but the free market powers that up. The opportunities it offers, international finance, cover up the fact that simultaneously there is a level of brutality and bigotry. In any other country, if somebody had presided over the massacre of thousands of people, Muslims being moved into refugee camps, it would have been received differently in the outside world. Now, India’s this market-friendly, Bollywood, fuzzy, cuddly toy. Do you think that there are noticeable ways that the markets had a positive effect on India? There’s never anything where you could say, “Oh, this is all bad, or this is all good.” You can’t say that ever, but when you see the levels of dispossession, the levels of environmental devastation, of people being displaced from their land, moving into cities, cities being unable to deal with that, I would say that there’s something terribly wrong, something terribly wrong, and that doesn’t mean that you go back [to] the way it was, but you have to address what is going to become a serious, serious problem. Right, because another critique of your essays is that people say, “Well, things were never good. There was always incredible poverty in India. Women were always treated at the village level with contempt,” and so on. One of my essays, in fact, called “The Doctor and the Saint” is about Gandhi and B.R. Ambedkar. Obviously, I’m critiquing Gandhi for saying everything was so wonderful earlier, and now everything is terrible. I’m not saying that. [I’m a person who has] escaped from what tradition holds in store for women in places like the villages that I grew up in. … It’s easy when you don’t want to look at a critique to say it’s glib. It does seem, broadly speaking, that there is a debate internationally between nationalists and so-called globalists. You have this right-wing populism, and then you have international elites who are removed from the masses. How does that debate play out in India? In India, it’s a false debate, because the people who are actually posturing as radical nationalists are completely in favor of the neoliberal free market, completely in favor. It’s a completely false positioning of the debate in India. They would like us to debate it like that, but that is not the case at all. It’s the same thing in America, in that Trump, with a few exceptions, wants more unregulated capitalism than almost anybody. Yes, yes. The different is that in America, raw materials can be plucked by making war against other countries. In countries like India, we do it by colonizing ourselves. I’m not just talking metaphorically. I’m saying that the forests of Central India are flooded with paramilitaries trying to get indigenous people to move off the land. A person very, very closely connected with the government said that since Africans are being beaten up on the street, lynched, India’s being called racist, so he said, “How can we be racist? We live with these black South Indians.” There are thousands of farmers and indigenous people in jail, accused of sedition, because they’re fighting to keep their land, and it’s all being handed over to mining companies. What is going on there, and the image that this country has outside, is a huge schism. Right now, I’m thinking of the art of doing nothing. What does that mean for you? Everyone has a different definition of what doing nothing is. I haven’t been doing nothing, because this book is coming out in 30 countries and translations, queries, understandings, proofreading, all that. I’m pretty tired right now, and as I said earlier, I’m not in any hurry to do anything, even my nonfiction. I don’t even know yet. I don’t even know yet, but I just don’t want to feel that I’ve always got to do the next thing and the next thing and the next thing. It’s always been interesting to me to do as a little as possible. The Ministry of Utmost Happiness by Arundhati Roy. Knopf.